The Cassava Viruses in Northern Nigeria Project is assessing the severity and incidence of diseases affecting cassava in the region. In its fieldwork this year, the team has rolled out the use of a mobile app to collect their data. 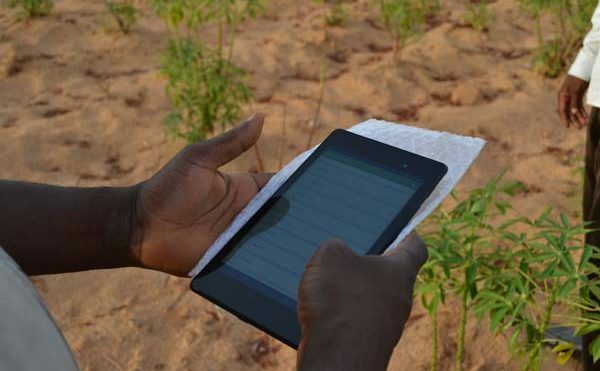 The app, set up by project partners at Cambridge University in the UK, enables researchers to input data using validated fields in the app rather than using a pen and paper. The impact of this technology on the scientists’ work has been huge. In the words of Dr Ibrahim Mohammed, the principal investigator of the project: “It makes life easier”. One of the app’s main advantages is that it increases the accuracy of the data collected. The app sends data automatically to an Excel sheet, preventing the errors that often creep into the data during collection and transcription. 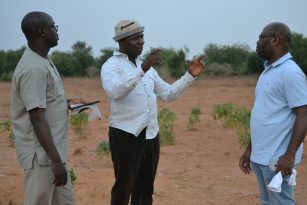 Field assistant on the project, Dr Adamu Mohammed, described the difficulties using paper and pencil: “You need an eraser – as a human being you make mistakes. Then you had to put the result into Excel and check for mistakes. We don’t have to do that with tablet”. One challenge the team faced at the start was learning how to use the new technology. Dr Adamu advises others looking to use survey app in the field: “It’s good to assign one person who will master the use of the tablet”. 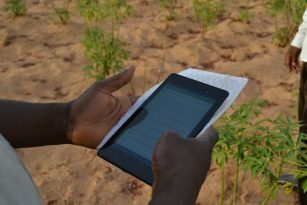 The team have benefited greatly from this approach and the team members now have very clear responsibilities: while the virologist assesses the plant, the field assistant uses the app on a tablet to enter data.